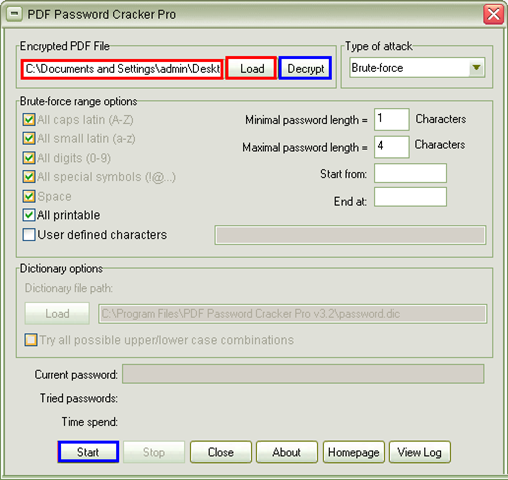 With the help of CrackPDF PDF Password Cracker, you can easily remove PDF password and then you will be able to copy, print or modify PDF document. 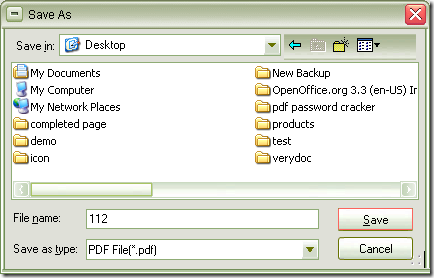 It is useful when you forget your PDF owner password and in the case that you want to edit the content of some PDF document which is protected by owner password. 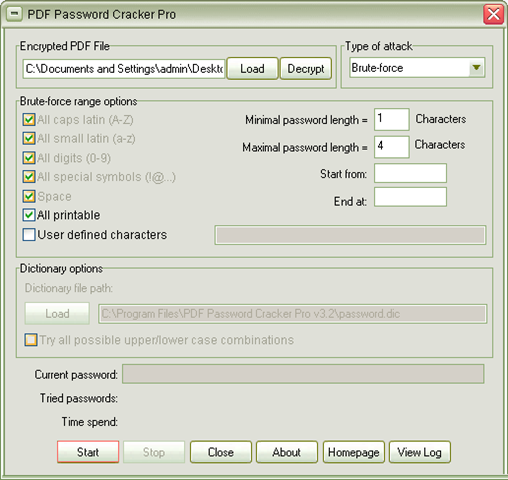 You can download PDF Password Cracker via clicking here and double click the installer to install it on your computer. 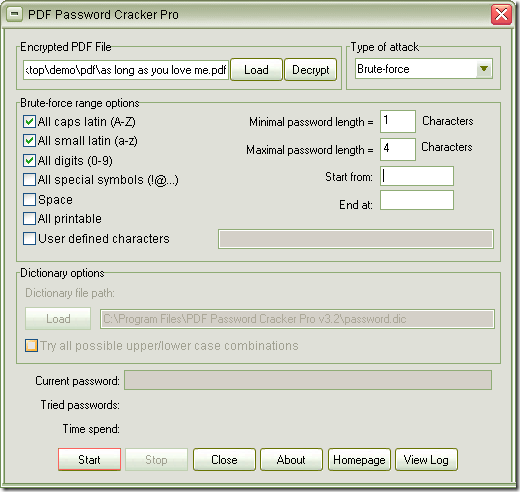 This is really a smart application which has a clear user interface to help you recover PDF password without any difficulty. 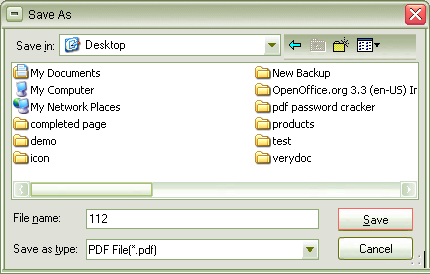 When you double click the application icon, you will see the user interface as shown in Figure 1. To add encrypted PDF document into the application, you can choose to use drag and drop operations or click Open PDF (s) button to open file picker window for choosing the document that you need. 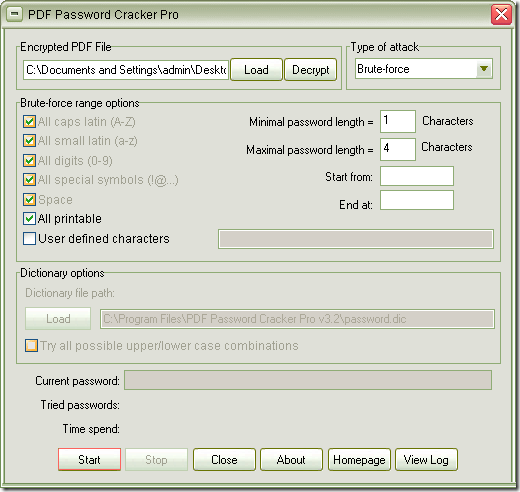 PDF Password Cracker supports to remove PDF password in batches and you can add a batch of PDF documents into the application. 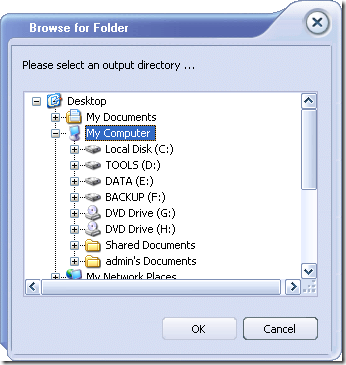 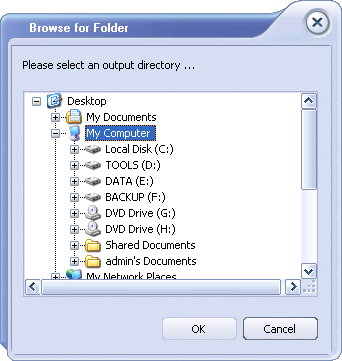 When finishing to add source files, a window for saving batch files will automatically popup to remind you to save target file in a destination of your computer like the one shown in Figure 2. Then you need to click OK button to go on working. 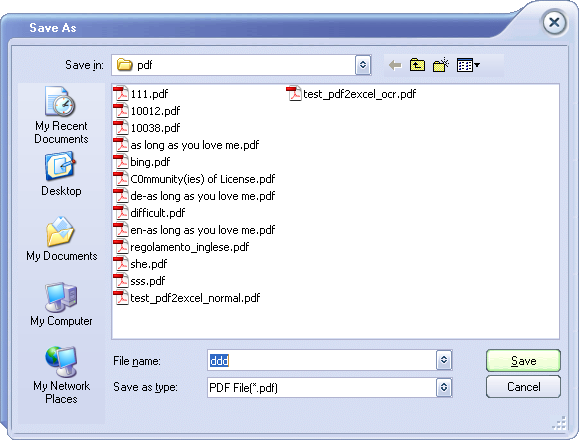 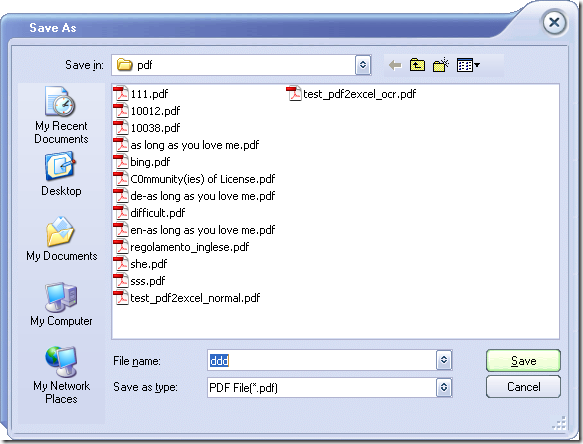 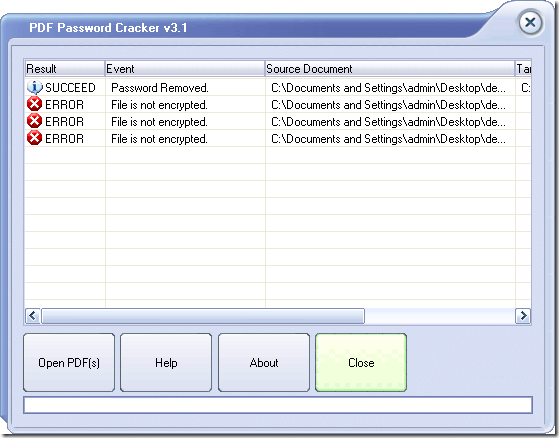 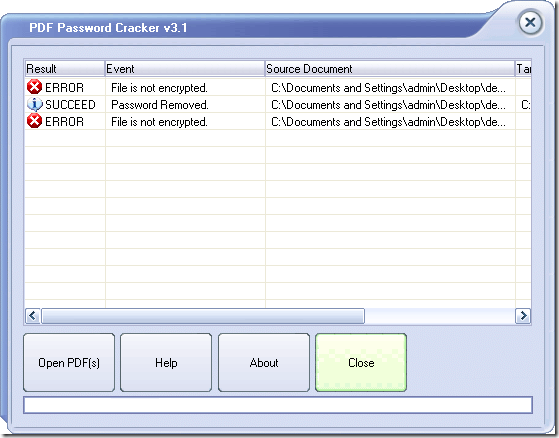 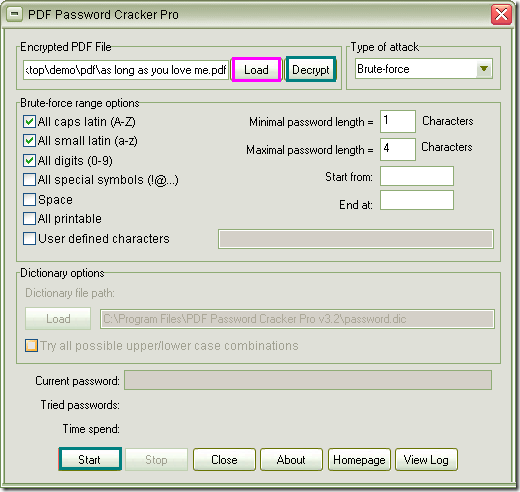 PDF Password Cracker will instantly remove PDF password and the operation information will be shown in the file list. 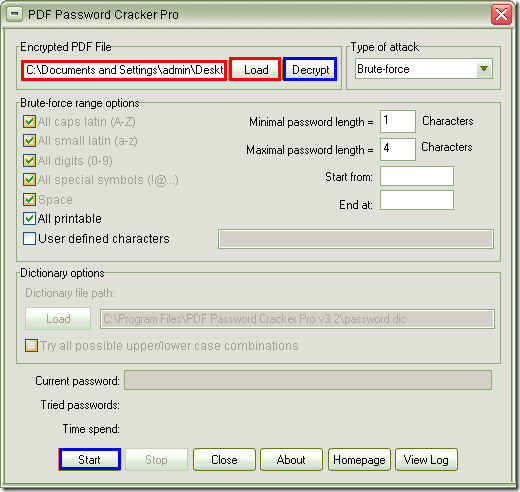 Owner password protected document will be successfully processed and the documents without owner passwords will show Error information. 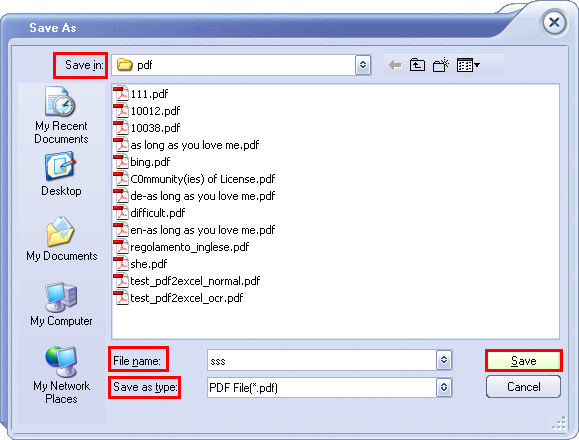 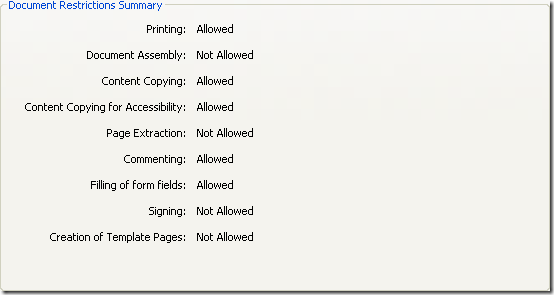 If you still don’t know how to use this application, you can read the user manual of it. 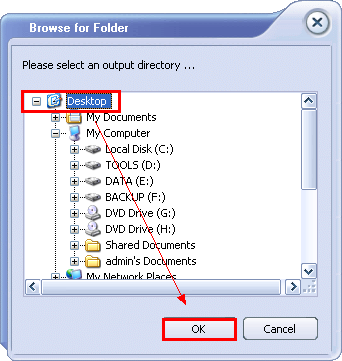 Or you can enter the homepage of it via clicking here. 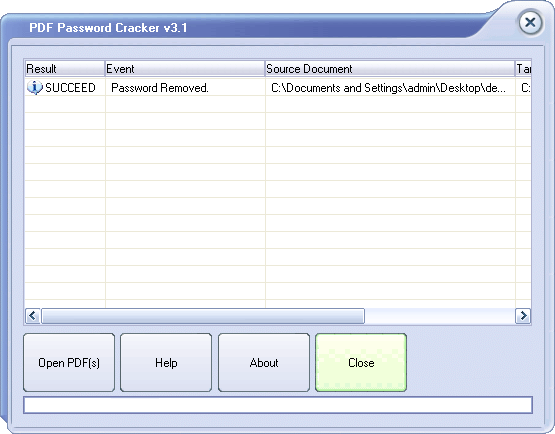 If you have some other questions or some ideas about our products, welcome to contact with the support team.